Tag Archives for " Aruna Naomi Inalsingh "
15	Will Online Marketing Help You Save Money? Online marketing is a rapidly-evolving new world, and there are subject experts for most of its related topics — digital strategy, social media, search engine optimization and marketing, website design and development, e-commerce, content management systems, etc. The list goes on and on, with a lot of acronyms thrown in, leading us to be involved in conversations that sound like a foreign language. Rather than reading “Online Marketing for Dummies,” it’s easier for many of us to “prefer” to abstain or have someone else make a decision for us. But the reality is that marketing fundamentals never change, and with a few quick insights, we can be more than adequately prepared to make some decisions to charge forward with online marketing. Firstly, as always, understand your objectives: Are you trying online marketing to save money, help with branding, or generate sales? Each of these reasons will drive a different strategy. 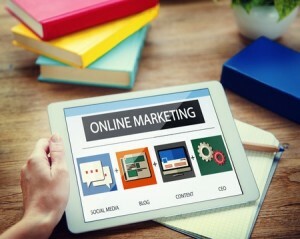 Will online marketing help you save money? Absolutely! But, I don’t suggest quitting traditional marketing cold turkey. The plan is to use a multi-media campaign and to experiment with different online programs to check their effectiveness with your buyers. First off, saving money comes when people find you online. That means you need to be easily found, which means you can start with on-page Search Engine Optimization (SEO), which is set up during the programming of your website. How good is your website — Is it set up to be found with meta tags? Is it mobile-device friendly? Does it need to be? If you want to reduce the amount of money you spend on your traditional marketing budget, then you want to invest in your website so that people can find you. Also, success is measurable when you take advantage of the analytics to show that the right people are finding you online. How does online marketing help with branding? Check out social media. Your brand should be mentioned all the time, and you should be monitoring that chatter. Why do people like your brand? Why are they frustrated with you? The more you “listen” on social media, the more you will understand the perception of your brand so that you can respond or embellish. You can become your own brand advocate, placing strategic messages on various sites, encouraging traffic to your website (so critical to online marketing) to learn more. You can hire community managers who respond to customer service needs in real-time so that your brand presence is both real and virtual. This helps with the customer experience, ensuring you have strong engagement and maintenance of your customers. – by providing targeted promotions through AdWords and Banner Ads, you can run A/B tests to see which messages are resonating more with your buyers. You can track your website “stickiness” to learn how long visitors are staying on your site and to maximize conversions – converting website visitors to buyers. You can also track referrals – are people coming to you because of Yelp, Facebook, or emails? If you find one is more impactful than the other, then it’s clear where you should be investing your time and resources. Note that sales campaigns are most effective when your brand is already well recognized – whether that is through traditional or digital marketing. So if you want a successful sales campaign, make sure that your marketing campaigns are established and strong. My goal was to try to explain online marketing in more traditional marketing terms. In fact, I may have ended up creating more questions for you. But if that’s what I did, I hope that you now at least know what you don’t know, rather than being immersed in a lot of millennial language that makes little sense. I suggest to first start with a foundation of a website, email blasts, and social media to ensure a strong ROI from your marketing investment. Then you can add e-commerce, advertising, and prescriptive analytics for exponential growth. That’s something that even Bartleby’s Lawyer-boss would advocate. 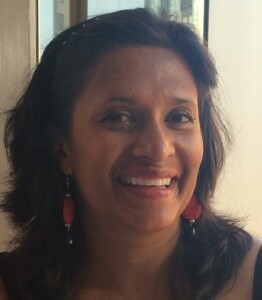 Aruna Naomi Inalsingh of Ani Marketing Service has been practicing marketing for over 20 years, helping private, public, and start-up companies in the US, UK, Asia, and Russia increase their revenue streams. By aligning marketing strategies with business objectives, Aruna likes to integrate branding, promotion, and communication programs. With the expansion of print marketing into online marketing, Aruna has adapted the traditional content strategy to include content planning to be used for websites, blogs, and social media communities. The result is a range of memorable and effective campaigns that include strategic messaging, print collateral, and online marketing.